Should you require further information on GAUGE 80X215X0.5 INTER-SECTION G80 for G8X, G5X, G8X please click on the button on the right. Get this GALGA 80X215X0.5 ENTRE TRAMOS G80 PARA G80 for G8X, G5X, G8X on Spares in Motion from one of our selected partners. The item is described as new and has a lead time of Within 2 weeks. 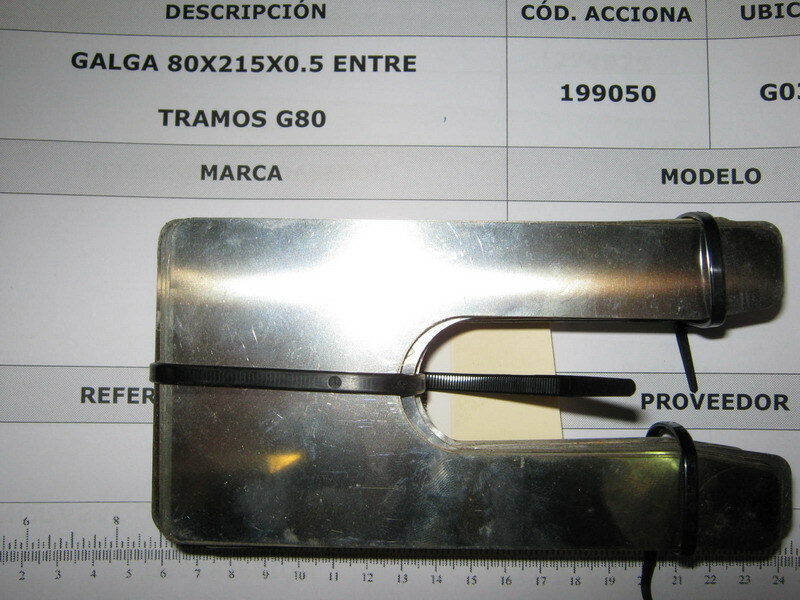 This part (in product group: Other Mechanical Parts) can be used for Gamesa wind turbines.